Healthy Holiday Eating Tips | Eating You would end up gaining five pounds of weight just by eating 200 calories foods other than the normal diet you need by January. Eating You would end up gaining five pounds of weight just by eating 200 calories foods other than the normal diet you need by January. Come to think of it – small helpings of gravy fudge or pecan pie are sufficient to make you obese. During the winter holidays, you are particularly prone to consume those foods rich in fat and low in nutrients. This is the time when you find reasons to forego your workouts even though you take lots of sugar. So, in order to take control of your binge, the winter holidays are the ideal time to come to terms with it. Taking a high amount of sugar with little exercise make the body sluggish. Your body also gets less sunlight exposure during winter. Due to this, there is a decrease in serotonin. It is the chemical in your brain that regulates the mental make-up, sleep, and appetite. Its reduction may also lead to depression. Eating small meals that have complex, starchy vegetables in frequent intervals increases the level of serotonin. In order to check the blood sugar, having a small number of foods rich in protein thrice a day helps. For instance, you may take two eggs whites in the breakfast, turkeys during the day and small helpings of grilled fish for supper. Exercises like walking, running and hiking during the holidays, at least for an hour is necessary, as it enhances the level of endorphin in the body, apart from burning the calories. Do not avoid fat totally. Moderate amount of fat intake would prevent overeating. 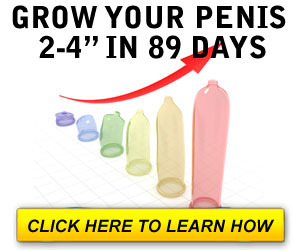 Normally 35 – 65 grams of it in a day is enough for the purpose. Do not forgo your meals as it may drive you to overeat. Shunning your choicest of dishes does not help. You may take them but in moderate amount. Do not keep your trigger foods or comfort foods in your house. Their proximity would tempt you to consume them. Your meals should be in proportion with your day’s physical activities. Having a drink or protein shake before going to a party is a smart way to avoid overeating. Increase your water intake during the day as well. During holiday festivities, make a conscious decision to stay away from the buffet table. Alcoholic beverages are high-calorie drinks. Hence, take the only beer or champagne spritzer. Whether you are a man or woman, elevate your moods through manicure or pedicure, if you feel depressed. Having a full stomach would prevent you from going for cookie breaks during shopping. Stick to a benchmark as far as satiating your sweet tooth is concerned. Limiting it to two desserts at 250 calories each in a week is an ideal way to do it. Don’t view the holidays as the time for eating anything or everything. Avoid foods rich in fat and calorie during feasts. Go for baked sweet potatoes, wild rice stuffing, whole-grain rolls and angel-fool cake with fruit. While visiting families and friends, you may keep your own cottage cheese, nonfat cheese sticks, deli meats etc. in their refrigerator and have them when you are hungry. In order to curb your tendency to overeat, plan well in advance about your possible menu during the dinner. If you are really serious about being in shape during the vacation, wear your tight-fitting jeans. You may even tie a ribbon or string around the waist under the dress, which you make you conscious of the bulge of your tummy. If your host cajoles and pleads to eat more, try to eat to taste all the foods offered, but only in modest amount. Select foods rich in fiber and less with calories. You may have your sumptuous meals during the main holiday feast. If you overeat on that day, stick to your plan the next day. Meditate at least for some time every day by taking deep breaths to distress your body and mind.